Housing vacancy rates are rising. According to the latest census, 11.2% of housing — a total of 1,089,165 dwellings — was recorded as unoccupied. Over the past five years alone, empty property numbers are up by 19% and 15% respectively in Melbourne and Sydney. Correlate this with the fact that, according to Homelessness Australia, there are 1 in 200 people homeless on any given night, or a total of 105,237 sleeping rough, and we have ourselves a real moral conundrum with no easy solution. It isn’t just an Australian problem, either. According to the Urban Institute, about 3.5 million US residents (about 1% of the population), including 1.35 million children, have been homeless for a significant period of time. Over 37,000 homeless individuals (including 16,000 children) stay in shelters in New York every night. Fox Business estimates that there are 18.9 million vacant homes across the country. 3.5 million people without homes; 18.9 million homes without residents. The math is simple. Yet the question of how to fill vacant houses is a complex one. The Victorian Government has already legislated an empty homes tax, and the Federal Opposition treasury spokesman, Chris Bowen, recently backed a standard vacant dwelling tax across all the nation’s major cities. Hal Pawson is a professor of housing research and policy, as well as associate director of the City Futures Research Centre, UNSW. In a recent article for The Conversation, Pawson backs the ‘ghost house’ tax: “Taxing long-term empty properties is consistent with making more efficient use of our housing stock — a scarce resource. “A big-picture implication is that tackling Australia’s housing stress shouldn’t be seen as purely about boosting new housing supply — as commonly portrayed by governments. “It should also be about making more efficient and equitable use of existing housing and housing-designated land. “Penalising empty dwellings is fine if it can be practicably achieved. While Pawson makes an important point, he is missing several others, including the fact that statistics may not accurately reflect the state of the housing crisis. Economist Terry Rawnsley of SGS Economics and Planning told Business Insider: “There does not appear to be a large pool of dwellings being withheld from the housing market. According to Rawnsley, there are many and varied reasons why homes may be unoccupied. Another important fact to consider is the 11.2% of unoccupied dwellings last year is only 0.5 percentage points higher than the figure recorded in the 2011 census. Unoccupied dwellings have consistently made up around 10% of dwellings in Australia over the past 35 years. Those looking to blame unruly landlords or investors for the housing crisis may want to rethink their position. Another misconception at work here is the idea that negative gearing has a hand to play in the creation of ‘ghost housing’. However, you cannot negatively gear a property unless there is a genuine intention to derive income from that property. The problem with negative gearing and with property speculation is that it leaves people out of the market. What does the HIA think of a ‘ghost house’ tax? “The housing sector has already stepped back from its role driving the Australian economy and now is not the time for governments to hit the industry with punitive charges,” warns Tim Reardon, HIA’s principal economist. Reardon is naturally concerned for the building industry and predicts a decline in building activity. “Government interventions into the market so far include: state governments imposing punitive Stamp Duty charges on foreign investors, Federal charges for foreign investors, a new set of visa rules that could slow overseas migration, restricting lending to domestic investors and new regulations limiting interest only lending. “The Australian Government has also imposed additional regulations that will impact on investors in the sector. “The HIA is forecasting that building activity will decline modestly – from record highs – over a number of years, consistent with typical cyclical trends in the industry. Activity will bottom out in 2019 with activity still at solid levels. “There is a risk – if uncoordinated and poorly considered policies are introduced to curb foreign investment – that the decline in activity in the sector will be accelerated,” Reardon concludes. According to Reardon: “The Chinese government has also imposed restrictions on capital leaving the country which may have a significant impact on Australian home building. “Foreign investors have been attracted to the Australian housing market and they have been investing billions annually in the construction of new residential dwellings. “These investors have contributed to activity and employment in metropolitan areas building the supply of new housing stock and easing pressure on rental markets. “Governments of all jurisdictions should proceed with caution when imposing new punitive measures on this segment of the market. A downturn would have its own economic and social impact, but is it more or less significant to Australia’s social and economic fabric than populating vacant houses? This brings us back to the question of foreign ownership’s impact on empty dwellings. Jason Anderson, chief economist with leading property advisory, MacroPlan Dimasi, estimates that a further 10,000 new homes will be purchased and left empty by Chinese buyers over the next five years. It is difficult to estimate how many ghost houses are owned by overseas investors, and how many are Australian investors taking advantage of tax breaks. However, foreign ownership is exacerbating the problem. 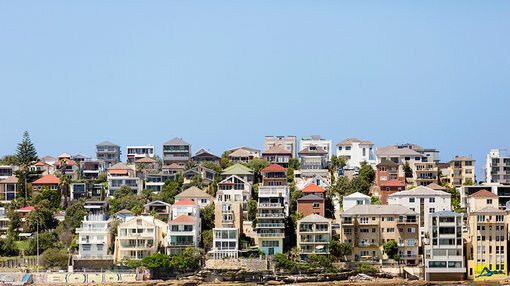 Douglas Driscoll, the chief executive of Starr Partners, believes the empty homes are a major contributor to Sydney’s housing crisis, which has seen prices double in the past eight years and rise at an average of $222 a day. “Foreign investors are only exacerbating the problem by buying properties and leaving them vacant,” he told the Daily Mail. In contrast to Reardon, Driscoll believes the government has a role to play in alleviating the impact of empty homes on housing affordability. “Foreign investment is not the elephant in the room, it is a herd of elephants in the room and more needs to be done,” Driscoll said. Can we put the homeless into empty houses? The short answer is no – unless we strip home owners of their ownership. In a free market, that’s just not the answer. So, how do we unlock those million homes for those who need them? Would homelessness be relieved by the rent price drops that would occur if 10% of our national housing stock became available for rent? There is no simple answer and certainly no easy solution. The only thing that’s clear is that something must be done.